This concert features two early music groups. 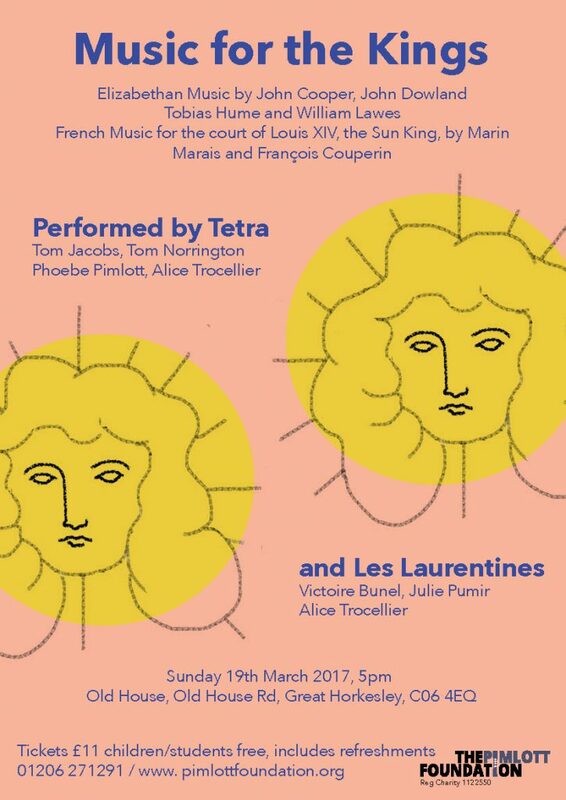 We welcome back TETRA, who last performed for the Pimlott Foundation in St Martin’s Church Colchester, and Les Laurentines, who are currently studying at the Royal Academy of Music. Find out more about Tetra here.